Manufacturer of a wide range of products which include industrial fluid coupling. We are one of the leading organizations engaged in offering supreme grade Industrial Fluid Coupling to the customers at affordable rates. 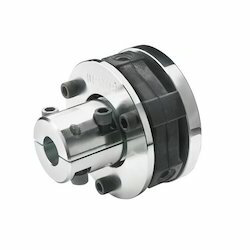 These couplings are used for transmitting the mechanical power. These products are extensively used in paper & print and automotive. Various industries including chemical, ceramic, dye and chemical utilize these products for different purposes. Looking for Fluid Coupling ?